Born: 1857, London, United Kingdom. Died: 25 May 1905, Vereeniging, South Africa. Henry B. Bunkell, mining engineer and geologist, was the son of Henry Christopher Bunkell and his wife Sarah, born Cooke. He was educated at King's College, London, where he received a certificate in metallurgy. He worked as an engineer in England and other countries, including for a time as a railway engineer in Brazil and as mining engineer at Rio Tinto, Spain. He was a member of the (British) Institute of Mining and Mechanical Engineers, and of the (British) Institution of Mining and Metallurgy. In 1887 he came to the South African Republic (Transvaal), where he was involved in the mining of gold, silver, copper and coal as mine manager and as consulting engineer. From about 1895 he was employed by the engineering firm Lewis & Marks in Johannesburg. During the Anglo-Boer War (1899-1902) he was in Durban, where he was a member of the Rifle Association which did duty as town guards and was also attached to the Naval Brigade. After the war he returned to Johannesburg and resumed his profession. 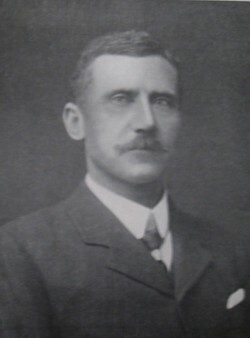 In 1905 he was consulting engineer at Vereeniging Estates, Ltd. He died of asphyxiation that year during a rescue operation, following a disaster at the Central Coal Mine, Vereeniging. Bunkell was a member of the Geological Society of South Africa and, from November 1897, an associate of the Chemical and Metallurgical Society of South Africa (renamed the Chemical, Metallurgical and Mining Society of South Africa in 1902). In October 1896 his "Note on the Venterskroon Goldfields, South African Republic" was read before the North of England Institute of Mining and Mechanical Engineers at Newcastle upon Tyne. The paper was published in the Institute's Transactions for 1896, and as a pamphlet (London, 1903). A second paper by him, "Geology of the Krugersdorp district", was published in the Transactions of the Geological Society of South Africa (1902, Vol. 5, pp. 75-77 ). Bunkell married Agnes Hannan in Pretoria in 1892. They had two daughters. Chemical and Metallurgical Society of South Africa. Proceedings, 1899, Vol. 2, lists of members. Chemical, Metallurgical and Mining Society of South Africa. Proceedings, 1903, Vol. 3, list of members; Journal, 1904/5, Vol. 5, Members. Geological Society of South Africa. Transactions, 1897-1902, Vol. 2, 4 and 5. National Automated Archival Information Retrieval System (NAAIRS). http://www.national.archives.gov.za/naairs.htm Documents relating to Bunkell, Henry Brocklesby/Bunkell, H.B. National Archives Repository (TAB), Source MHG, Vol. 0, Ref. 6884: Death notice, Henry Brocklesby Bunkell. Obituary notice. Journal of the Chemical, Metallurgical and Mining Society of South Africa, 1904/5, Vol. 5, p. 317.